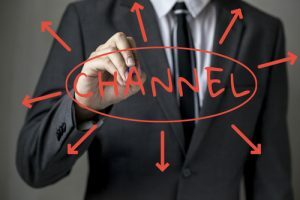 Averetek, Perks Worldwide (Perks WW), and Birch Worldwide have fully integrated their core products to jointly sell them to businesses looking for channel incentive, channel loyalty and channel marketing solutions. The integrated Campaign Marketplace, a sales and marketing demand generation solution, allows partners to see their available MDF/co-op balance, browse marketplace services like telemarketing, social media advertising, and original content development, and submit requests to agencies for those services. Peter Thomas, CEO of Averetek, believes that by providing partners with this seamlessly integrated platform, funding, and best-in-class agency services, funds will be used more effectively to drive results for partners and suppliers. Perks WW CEO and co-founded, Jeff Ford, said the integration was built on an earlier collaboration by the companies. “In 2016, we focused on integrating channel rewards, rebates, MDF/co-op, and a campaign marketplace, but a full DNA integration of these and other products has followed,” he stated.